I know it's a bit on the early side, but I have Christmas on the brain. I am already knee deep in holiday music playlists & am about to bust out the tree. 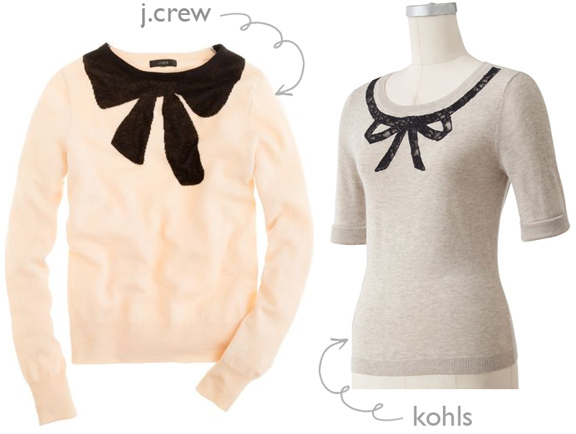 I think a bow sweater would be such a festive thing to wear this holiday season. The J.Crew sweater is so cute, don't you think? I also like this option. i think i like the kohl's version better! Really cute! Love the Kohls version. Love to Kohls shirt, got it on super-sale this past weekend!